The saiga, characterized by its distinctive snout, is an antelope that lives in the dry grasslands and semi-deserts of Kazakhstan, Uzbekistan, and Russia. It has roamed these plains since before the last Ice Age. Poachers target this critically endangered species for its horns, which are used for traditional Chinese medicine, and its meat, but its population has made a comeback over the past several years. Just a few weeks ago, the world saiga population was around 262,000. Starting around May 10th, saigas began dying at an alarming rate in Kazakhstan, where over 90% of the world’s saiga population is located. The United Nations Environment Program has confirmed that over 120,000 saigas have since died of a mysterious disease, and the death toll continues to rise. Within the herds affected, there is a 100% mortality rate. This means that more than a third of the world saiga population has died in just over two weeks’ time. Experts have jumped into action to conduct research about the exact cause of the deaths, with more concrete information expected over the next few weeks. Saiga Conservation Alliance has been working tirelessly for years to secure a future for the saiga across its Eurasian Steppe range. The current disease is especially devastating because it has decimated the group of saigas that until now has been the largest and the most secure from poaching. This makes it crucial right now to both understand the causes of the outbreak and to increase anti-poaching efforts to protect all of the groups of saigas that live across the Eurasian steppe. The good news is that the saiga is a resilient species that has, with help, bounced back from large-scale mortality in the past. 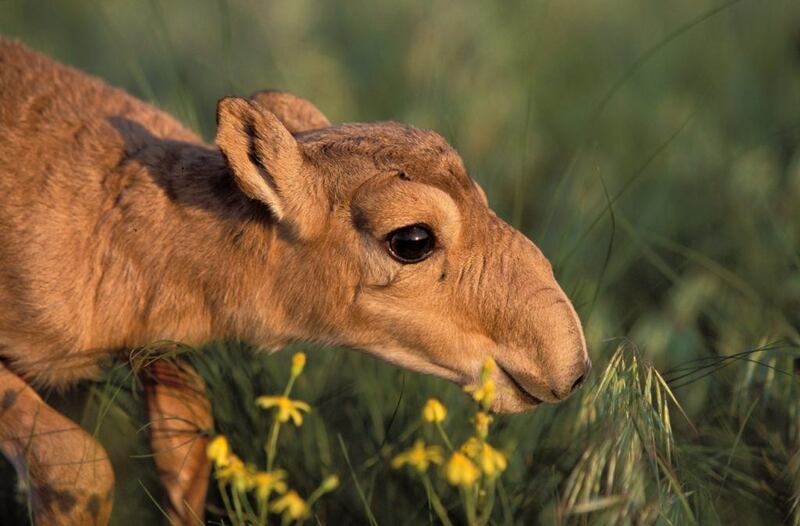 In the 1980s, two thirds of the saiga population died, and in 2010, one third of the world population died, but saiga can breed rapidly to recover once their situation stabilizes. If we act quickly, we can gather the information that we need to understand what has been wiping out the saigas and how we can stop it from spreading any further. This will also help to mitigate future similar threats. We estimate that it will cost $48,000 for Saiga Conservation Alliance to investigate the disease and provide increased anti-poaching support across the saiga’s entire range. We need your help to make this a reality at this critical moment.